See screenshot below. This is the standard installation of Opera. Nothing has been customised by me. I hardly use Opera as a regular user. Only to test website layouts and code. 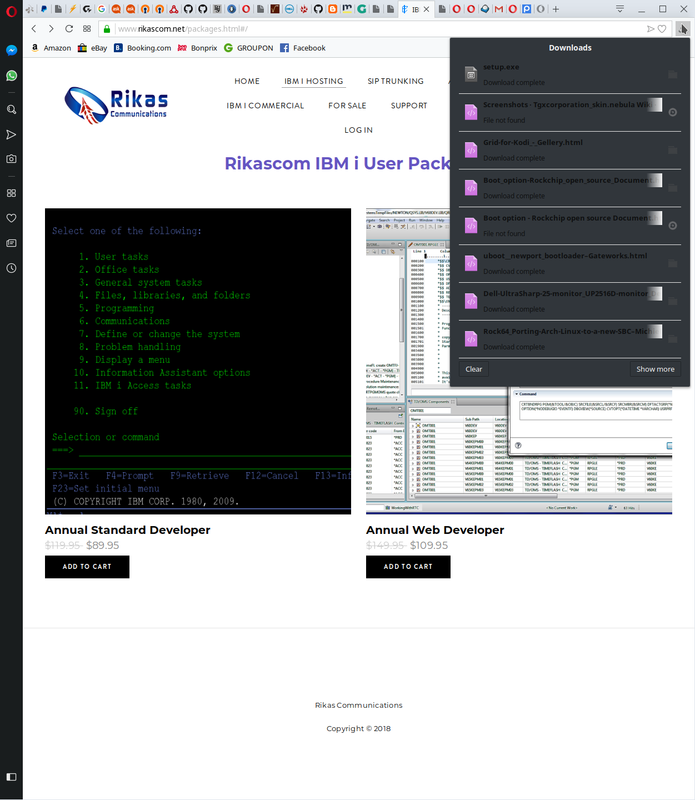 But today I had to use it as a regular user because Chrome is instable on KDE PLasma, and Firefox has an issue with black input boxes with nearly black text. What can I do to resolve this issue? Try enabling Opera'S dark theme - that should make the text white. Didn't give the intended result. Also closed and reopened Opera after applying its dark theme. Also, I prefer the default light theme. The dropdown with Recently closed and Open tabs has the same issue. @vectorx Yeah, the forum only let's you edit things for 30 minutes. 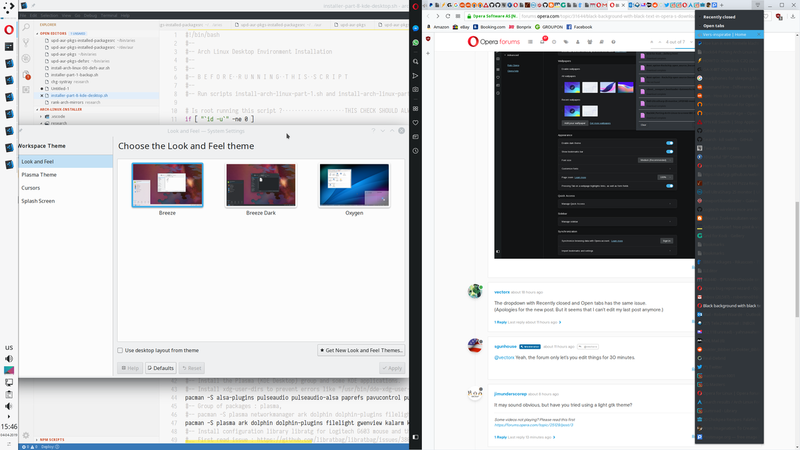 It may sound obvious, but have you tried using a light gtk theme? I do not know if you posted in the wrong thread, or just came to the wrong conclusion. But this is Arch Linux running KDE's Plasma with the light Breeze theme. All is in the screenshot. 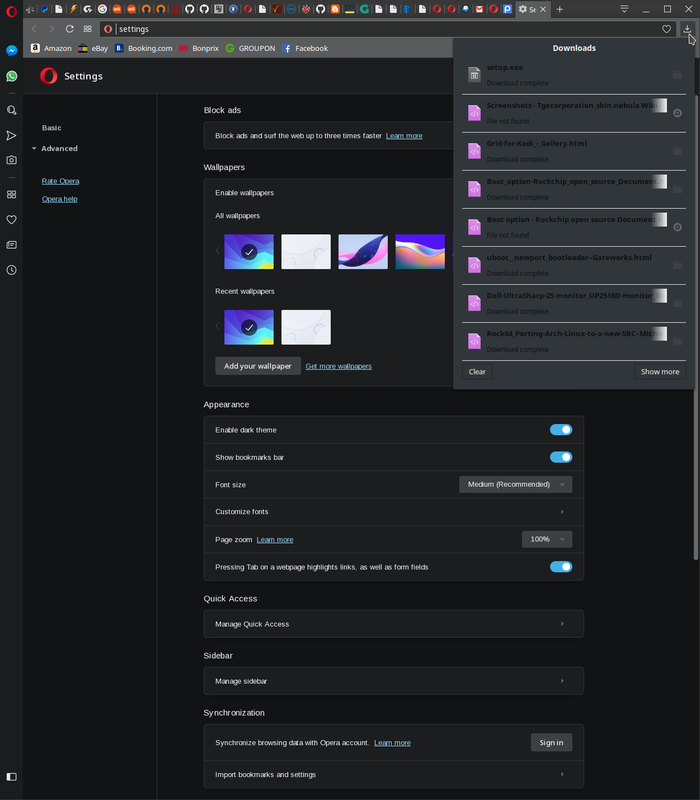 Opera is a gtk3 app, so it won't follow plasma's qt5 theming. 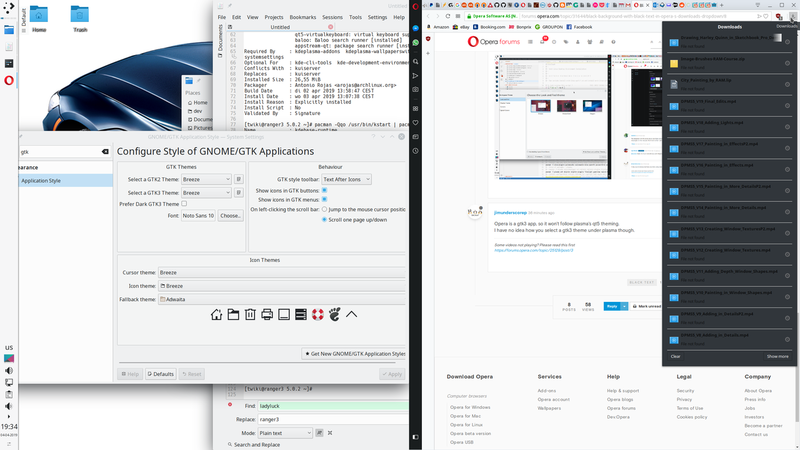 I have no idea how you select a gtk3 theme under plasma though. @jimunderscorep That's not it. Check the screenshots. In the first you can see that for gtk2 and gtk3 Breeze Light was chosen. 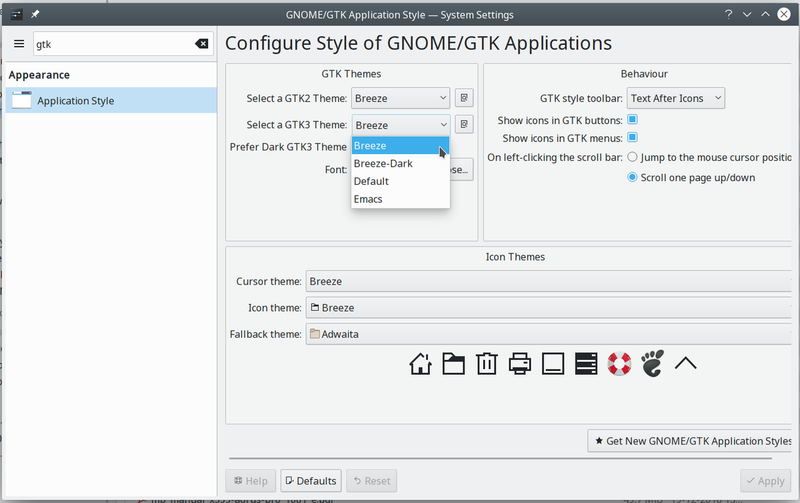 And in the second you can see all the options for GTK2 and GTK3 themes. and set it to false or remove it. p.s. Some minor health issues prevent me for giving a better solution with screenshots, explanations and the like, I will do it when I get better. @jimunderscorep The line is set to false. You could also have seen that in the first screenshot of my previous post. I also removed the line. Restarted Plasma. But nothing changed. It seems your issue was fixed in version 60, although I can't find it on the changelog. Opera now follows its own gtk theme for that downloads popup instead of the system's gtk theme.